You’ve implemented a social media strategy—but is it effective? Measuring the return on investment for social media programs often is difficult for marketers. 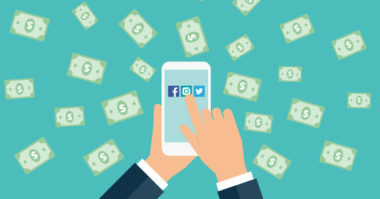 While many businesses are increasing resources to different social platforms, some struggle to determine whether these investments are worth it. It’s hard to see how much revenue a Facebook post has brought in, or whether a tweet has increased your bottom line. Instead of focusing on likes, shares, and followers, marketers must find meaningful data that reveals whether their content is working. So, how can you effectively measure the success of your social media initiatives? To shed some light on this controversial topic, we’ve updated our infographic, The ROI of Social Media, with the latest statistics. 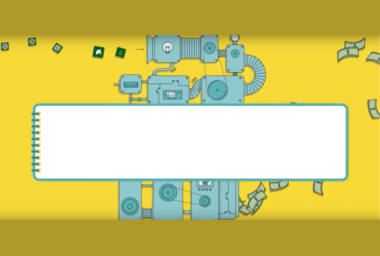 The infographic offers tips and techniques that will help you know whether your social efforts are increasing revenue—or whether it’s time to step up your game. Struggling to Measure Social Media ROI? You’re Not Alone. If you’ve had difficulty measuring social ROI, know that it’s a common problem. Forty-four percent of CMOs say that they haven’t been able to measure the impact of social media on their business, while only 20 percent say that they’ve been able to quantify social media’s success. Plus, 36 percent of CMOs say they have a qualitative sense of its impact, but they haven’t been able to translate that into solid figures. Brands aren’t the only ones struggling to quantify social ROI. Research has shown that 28 percent of marketing agencies face their own difficulties when determining the impact of their social media initiatives. More than half of agencies—55 percent—say that they can measure social ROI somewhat, and only 17 percent say that they can quantify it accurately. Today’s marketers often rank measuring ROI as one of the top issues with their social efforts. So, why is it so difficult to measure social media ROI? We outline some of the challenges marketers face in the next section. Measuring ROI: Social media still is a relatively new marketing channel, making it difficult to determine its impact on revenue. Publishing content: Generating compelling content ideas can be difficult at times. Plus, many firms have limited resources when it comes to creating digital content. Developing a strategy: Social media marketing is more than simply posting on all platforms; companies that are successful go beyond basic posting. To use social media to its full potential, companies must create campaigns and advertisements that engage their target market. Tying social media to business objectives: How will your social media strategy impact your overall business goals? Many businesses find themselves struggling to figure out where social media fits into the big picture. As mentioned previously, marketers face multiple challenges when quantifying the success of social media—but it doesn’t mean they aren’t trying. More than two-thirds—73 percent—of businesses regularly track their social media efforts, though the metrics analyzed are limited. Most marketers are looking at likes, comments, and other engagement statistics instead of overall sales. More than half of businesses measure engagement, which includes views, likes, and shares. A smaller percentage of firms—21 percent—measure conversions, including revenue and goal conversions. Just 16 percent of firms measure amplification, and a meager two percent measure customer service metrics. So, what about firms investing in paid campaigns? Surprisingly, the most popular metric analyzed by these firms isn’t directly related to sales. Those using paid campaigns are focusing on audience reach and growth, clicks to website, and engagement. The conversion rate takes last priority, despite the firms’ financial investment in the social campaigns. Marketers’ budgeting plans often reflect a belief in social media’s effectiveness and optimism about its future. A survey of CMOs revealed that businesses are spending 12 percent of their marketing budgets on social efforts. This number is expected to rise to more than 20 percent over the next five years as brands increase their presence across multiple platforms. Why Is Measuring Social ROI Difficult? It’s clear that social media gets results, but it’s also apparent that most marketers struggle to measure its overall impact. So, what’s holding brands back from measuring the success of their social initiatives? They’re unable to tie social media to business outcomes: Despite tracking engagement metrics, brands can’t see how social posts and shares affect overall revenue. They lack analytics expertise and resources: Many marketers are new to social media and analytics tools. There may be a learning curve as marketers adapt to new platforms and begin to allocate resources toward measuring social ROI. They’re employing inadequate measurement tools and platforms: While there are many social media tracking tools available today, not every platform will provide the data marketers need. They’re using inconsistent analytical approaches: Some marketers are unable to receive a clear picture of their posts’ success due to inconsistent reporting. They’re relying on poor or unreliable data: The quality of social data received also matters. For example, social media platforms are littered with fake and duplicate accounts. Activity from these accounts can sometimes affect the accuracy of your data. While there’s no magic bullet for making the process simple, it’s possible for every organization to measure social ROI by investing in skilled staff, analytics platforms, and high-quality data. Finding the right approach will take time and effort, but knowing how to track social media’s impact on your bottom line will make the investment worth it.